MileSplit will provide On-Demand Race/Field Event Videos at the conclusion of the meet. At the International Level, the Racewalk debate over the Olympic Distance is currently raging. At the High School level, things are not so unstable. 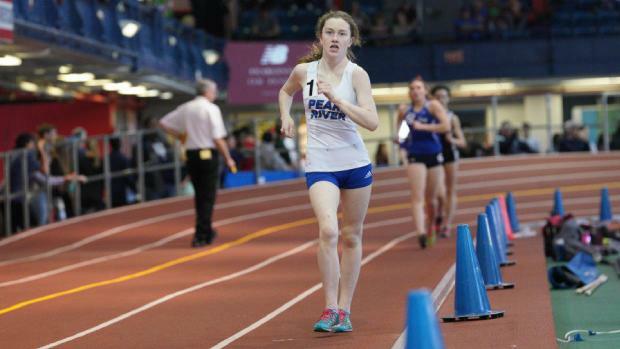 New York will once host the only Racewalk State Title Race in the entire country; no other State contests the event, and even still, only the girls can compete. That doesn't deter the walkers of New York, however, who have kept the event competitive for over a decade. Long Island has typically been a hotbed for the action, but things are beginning to fan out. Meet Ciara Durcan, a 10th grader from Pearl River, located in Section 1. She's the first sophomore with legitimate State Title hopes in the event in quite some time. Durcan is currently sitting at US #2 at the 1500m distance with a PR of 6:50.47; behind the current National Record holder, Taylor Ewert of Beavercreek, OH at 6:02.85. How did Ciara get started as a race walker? Kind of by accident. When she was in 8th grade at Pearl River, she was a Varsity swimmer in the fall, and decided to run Indoor Track in the winter. She and a friend saw the race walkers go by in practice, and they thought it was just a funny way of running. Durcan hopped in along to try a mimic the form, and she took off. The other race walkers encouraged Durcan to demonstrate it for their coach, Liam McGuirk. She was entered at the next meet, where she placed 3rd overall, and it's been her focus ever since. Unlike many walkers, however, Durcan does not specialize, a trend modeled by Ewert, who placed on the podium at NXN this Fall.. When indoor track begins, Ciara is training mostly for the running events she will do at her meets. She will run the 1500m, 1000m and 4X8 to help her team score points when needed. "My training for race walk is based around endurance since I am also a distance runner." says Ciara. Her coach will give her a few short race walk workouts towards the beginning of the season, but most of her race walk training comes at the end of the season after her endurance base is built. "Later in her season is when I have her focus more on race walk and incorporate walking workouts at practice." says Head Coach Shannon Flood. "Race walk can be very tough on the body, so I believe is it is really important to find a good balance between running and race walking while training," she adds. 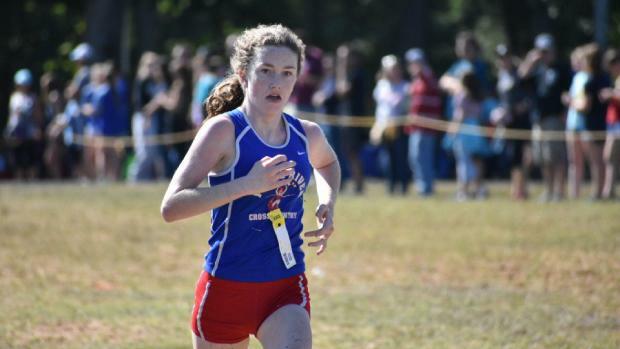 Knowing that endurance is key to the event, Ciara decided that her freshman year she would switch over to Cross Country in the fall instead of swimming, her original passion. Several factors played would into this decision. She was coming out of a successful spring track season, and her older siblings had been mainstays of the XC team before her. The decision has paid dividends this season, who attributes her rise to State Leader by being able to "train an extra 5 months out of the year," says Ciara." "It creates a good endurance base for me and also is preparing me for the big races not only in Cross-Country but in Track," says Ciara. "Last winter (after xc) she had a breakout season in race walk, " says coach Flood. "She has continued to improve with every meet and has never looked back. She trains hard and comes to every practice and meet ready and focused to perform." says Flood. When Ciara lines up at the starting line with some of the superstars in the sport, she knows that the competition will help her. "I get on the line and I become aggressive and ready to race whoever is next to me. They are the reason I excel at this event," she says. Ciara and her coach would both like to see her improve from her 5th place finish last year at States. She is also hoping to best the Rockland County record in the 1500 race walk, held by Maria Garcia of North Rockland at 6:49.32. 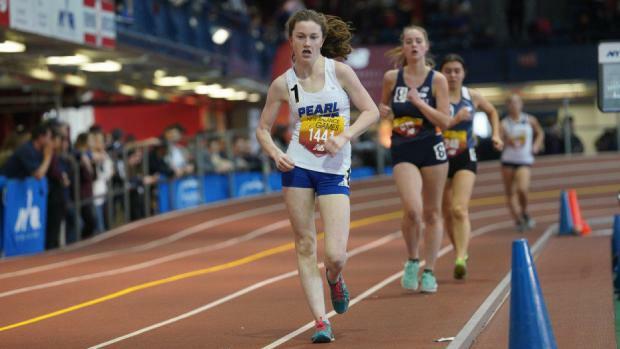 Durcan is well on her way, as one of only two girls in the country to break the 7:00 mark in the 1500m walk. After States, her sights are set on the following weekend at New Balance Nationals where she will race with some of the best. She is hoping to improve on her 5th place finish there also. "She is hoping to break 6:50, with a goal of a 6:45 mark." says coach Flood. In the Spring she is planning to compete at Penn Relays in the 5K race walk, a step up in distance. Then following a break from race walk, she will run for her team in Spring track and try to qualify for Outdoor Nationals in the 3000m race walk, where she is again hoping to improve on her 6th place finish from there last year. New York does not contest the event officially in the Spring. Ciara is inspired by her coaches and her family. "Coach Flood, Coach McGuirk and Coach Doherty and my many friends on the team, who push me in practice and before races" says Ciara. She is especially inspired by her twin sister Niamh Durcan. "She inspires me and supports me before and after my races and supports me during my race walk and is always cheering for me and helping me through my race.